Tiny Mayfly ID help please. > Tiny Mayfly ID help please. Quagmireage has attached this picture to aid in identification. The message is below. 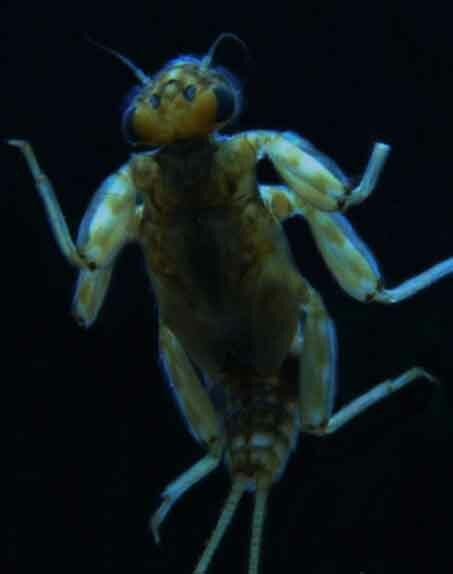 I found this nymph in the Keystone Select section of Laurel Hill Creek, Somerset county PA. It's really small(20-24, maybe smaller). Sorry to be so vague. If anyone has an idea what it might be, I'd love to know. Posts: 318 Clark - I'm pretty sure this is a member of the Baetidae family. As to the genus your guess is as good as mine. You'll need to dissect the mouth parts to figure out genus. Posts: 318 The more I look at it the more it looks like it might be an early instar of Baetis tricaudatus. Google it and see what you think. Posts: 496 If the tails are banded, rather than a solid color, then this probably is either Baetis flavistriga or something close. 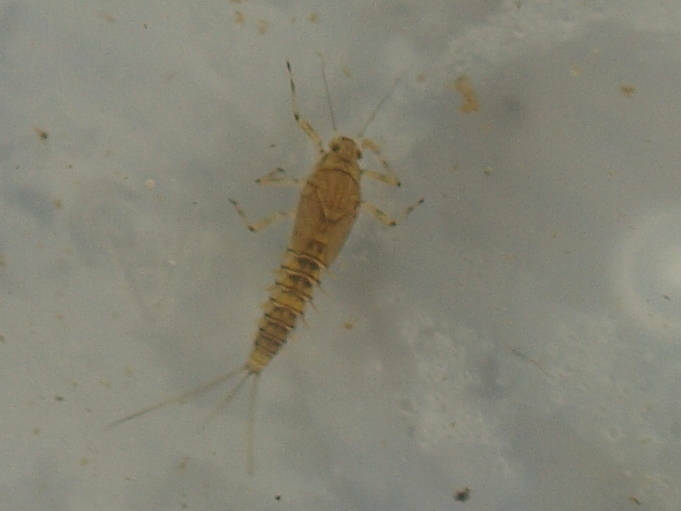 The markings on the abdominal terga also remind me much more of flavistriga than tricaudatus.